Yu-Gi-Oh! 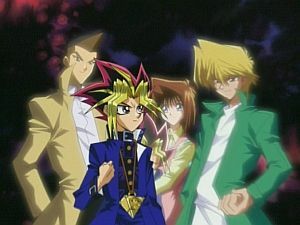 is a show about a boy named Yugi Moto and his alter-ego who lives in his pendant known as the Millennium Puzzle, Yami Yugi, who plays a card game known as Duel Monsters. However, everything is not so simple. The game of Duel Monsters originates in ancient Egypt, and the monsters in the cards are based off of real monsters. 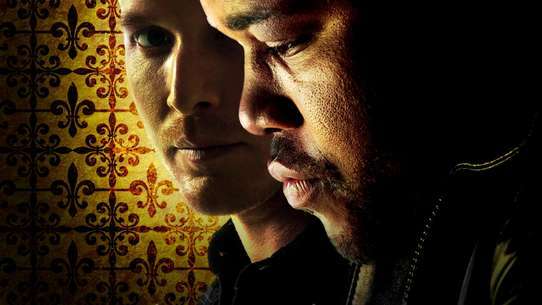 Also, the Millennium Puzzle holds several powerful secrets that several people want to get their hands on. The duel between Yugi and Atem continues. Atem summons the three gods: Ra, Obelisk and Slifer to the field. The sum of their attack power exceeds ten thousand. Yugi is overwhelmed, but he parries Slifer's Summon Thunder Bullet with this episode's Key Point: a Quick Magic card, "Mirage Magic." When a player's monsters' Attack Power and Defense Power increase or decrease due to an opponent's card, this negates the effect and recovers the difference in Life Points. Furthermore, Yugi also dodges Obelisk's attack with the Trap card "Mirage Ruler." Yugi finally makes a counterattack move that threatens the gods. Yugi tries his best to fend off the attacks from Atem's most powerful trump card the "Dark Magician." Yugi then plays his Spell Card, "Golden Chest of Sealing." The power of the Golden Chest of Sealing is it can negate the effects of another magic card that is stored in the chest. Yugi was finally able to defeat the "Dark Magician" with his "Silent Magician." Atem tries to activate the Spell card Monster Reborn so he can revive Slifer the Sky Dragon, but when Yugi opens the Golden Chest of Sealing to reveal the card he sealed, the card was "Monster Reborn". It means neither of them can use that card in this game. It is Yugi's message to another Yugi that "Those of the dead should not remain in the world of the living." Yugi and Atem place the seven Millennium Items into their slots in the Pharaoh's Memory in the shrine of the Underworld. Pharaoh Atem and Yugi then separate into two physical beings. The duel that will determine the fate of Atem and Yugi begin. Pharaoh Atem summons "The Tricky" with an attack power of 2000 but Yugi plays the magic card, "Swords of Revealing Light" Yugi is able to fuse the three monsters: "Green Gadget", "Red Gadget", and "Yellow Gadget" into one monster with 3000 attack points the "Mobile Fortress Stronghold". Mr. Muto tells his grandson the story of how he received the Millennium Puzzle and how a mysterious man saved him after one of his guides betrayed him. 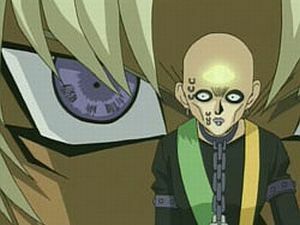 During the night, Rex and Weevil break into Yugi's room and steal his duffle bag to get the three Egyptian cards. Yugi wakes up from the noise and chases them out into the street. They're surprised to find the Millennium Items inside the bag. When Yugi finally catches up with them, he ends up face-to-face with Yami Bakura. Little Yugi collapses, leaving only the spirit of the puzzle to duel against Pegasus. Pegasus tries to read the spirit's mind, but Tea, Joey and Tristan use their friendship ritual to block him out. Can the mysterious spirit of the puzzle defeat Pegasus alone as the shadow game draw's to a close. As Joey's dream continues, he continues to advance in the dream tournament. With Yugi controlling Slifer the Sky Dragon and Kaiba controlling Obelisk The Tormentor, the duel of the God cards seems to go on and on because they both use a wide assortment of Magic and Trap cards to prevent their God card from being destroyed. Eventually, the two monsters' attack powers become equal and they attack and destroy each other at the same time, causing a massive explosion. What will result from the attacks? Zigfried does not seem content with just his brother's victory in this duel. To ensure things go that way, the card he gave to Leon, The Golden Castle of Stromburg, an illegal card, has been modified to force the duelist's monsters to battle and cause Yugi's own creatures to self-destruct while Leon's remain untouched. 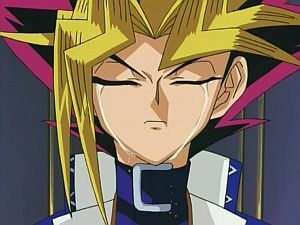 In addition, to make things worse, Yugi has to put half his deck in the graveyard to keep it going, much to his distaste. Add to the fact that so long as the card does remain active, Kaiba's computer mainframe will be infected with an unstoppable virus, and you have a recipe for the ultimate disaster. Even Leon isn't happy with the arrangement, especially since it's cheating. However, Leon's pleas fall on Zigfried's deaf ears as he controls the duel from the balcony. However, Yugi promises that he'll help Leon destroy the castle somehow. But how can he destroy a card that can't be affected by traps and spells? Dark Bakura kidnaps Mokuba and forces Kaiba to duel him. Planning to claim the power of the Blue-Eyes as his own, Bakura attacks using a new deck of Egyptian-themed cards, including his spirit beast, Diabound. Diabound is able to absorb some of the power of the Blue-Eyes, and Bakura abandons the duel. 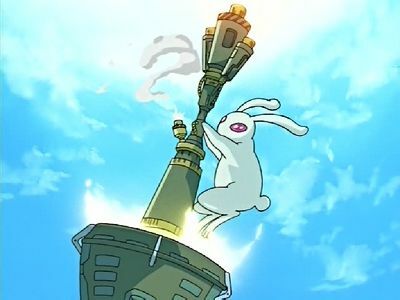 However, he leaves a parting gift for Kaiba - the Millennium Eye. The Pharaoh summons the Three Egyptian Gods to combat Zorc. Meanwhile, at the tabletop, Bakura claims that he'll return to his original form and both leave the table and join with their 3000-year old counterparts. Zorc defeats the Gods by covering the sun, wiping their strength out. Yugi is shocked as Joey uses the Time Wizard card he gave him as a sign of their friendship against him. However, as the two battle each other and one comes out the victor, they find confirmation of the strength of their friendship that surpasses any duel. 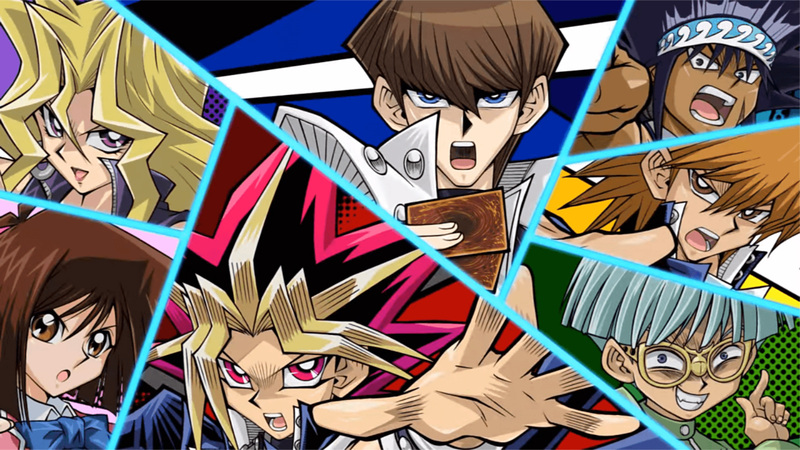 Yugi continues his duel, being outmatched by Slifer and its special ability every turn. Even his best Magic and Trap cards are not working. Can Yugi discover Slifer's one fatal flaw before he's annihilated by tens of thousands of attack points?. As the duel between Arkana and Yugi continues, both sides struggle to beat the other, pitting Dark Magician against Dark Magician. 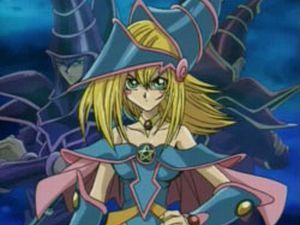 However, Yugi has a secret weapon in Dark Magician Girl. Meanwhile, Joey and the other's continue the search for the secret duelling arena. The God cards destroy each other at the same time, creating a huge explosions and destroying the televisions that are broadcasting the duel. The explosions cause Yugi and Kaiba to go into a flashback where they watch their ancient selves begin a duel. The Priest-Kaiba summons Blue Eyes White Dragon and the Pharaoh Yugi summons Dark Magician. When the flashback ends, Kaiba summons Blue Eyes White Dragon and Yugi summons Dark Magician, creating an image similar to the tablet in the museum. As Yami Yugi and Kaiba return to the duel, they notice that both Egyptian God Cards have been destroyed. But with renewed zeal for winning, Kaiba manages to summon his Blue Eyes White Dragon, while Yugi summons the Dark Magician.